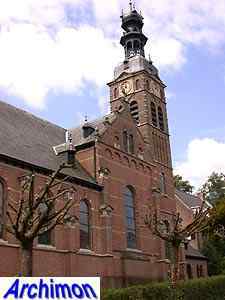 After the discrimination of catholics had been officially lifted, the catholics of Beek had been using the old village church on Sunday mornings, while the church itself remained the property of the small protestant minority. 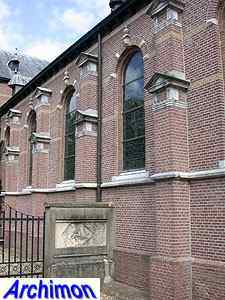 Although the latter were responsible for maintaining the church, they totally neglected it and in 1824 the church was closed by the authorities for safety reasons. 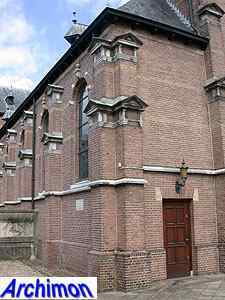 While the protestants used their chapel in Ubbergen instead, the catholics remained on the site, building a temporary wooden church in front of the tower and commissioning the construction of a new church nearby. 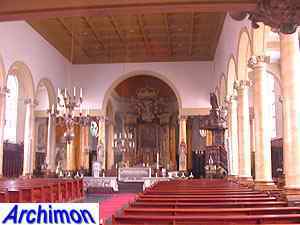 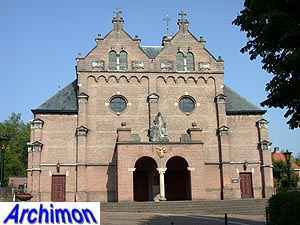 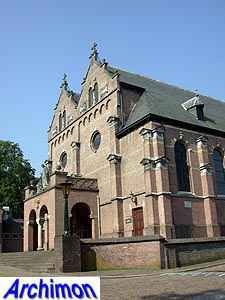 In 1825-1826 a three-aisled church in neo-Classical style was built by an unknown architect. 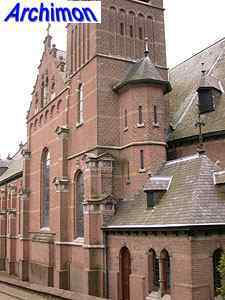 Pictures of it show it to be an oriented pseudo-basilica with a tower at the front. 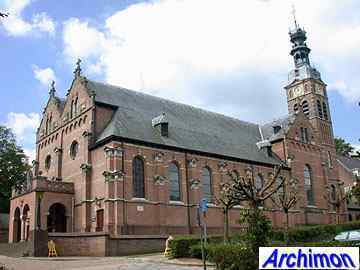 In 1891-1892 this church was enlarged by J. Kayser, who transformed the church into a four-aisled one. 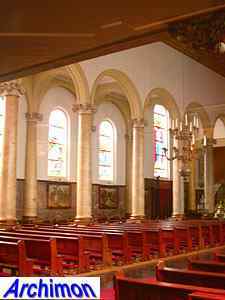 The southern side-aisle was demolished and replaced by a second nave with side-aisle, basically the mirror image of what was left of the older church. 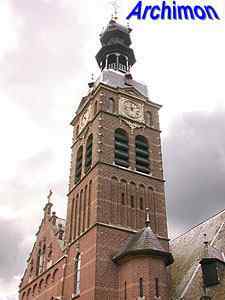 The choir and the tower were also demolished. 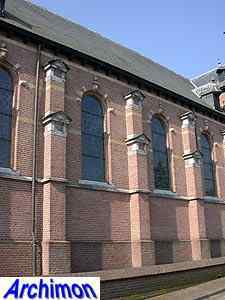 At the western side a pseudo-transept was added, followed by a new choir of the same width as the two main aisles together, with on both its sides lateral chapels. 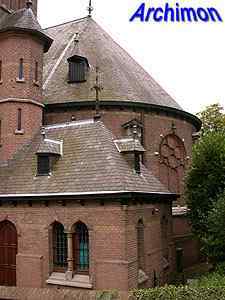 The northern chapel formed the base for a new tower. 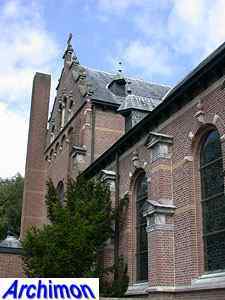 The transformed church was now in neo-Renaissance style. 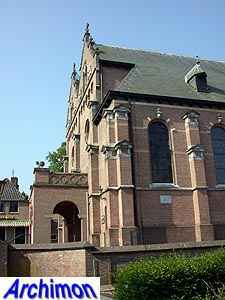 Following war damage in 1944, the church was repaired in 1952 by architect B.W.A. 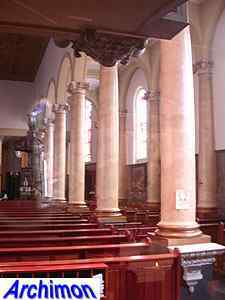 Goddijn, who joined the two main aisles by removing the central line of pillars and replacing the ceiling, thus creating a much more practical interior. 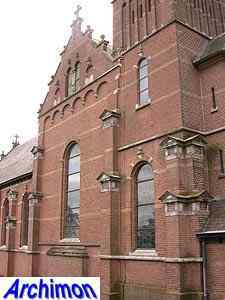 The old facade, which had two big windows, was replaced by a mostly closed new front with a portal.